1. 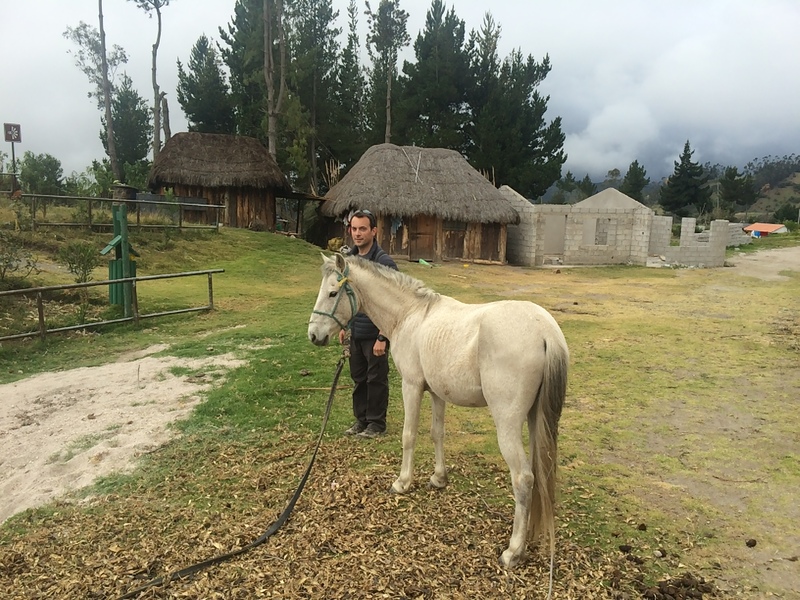 Arrive to Quilotoa and spend the night. 2. 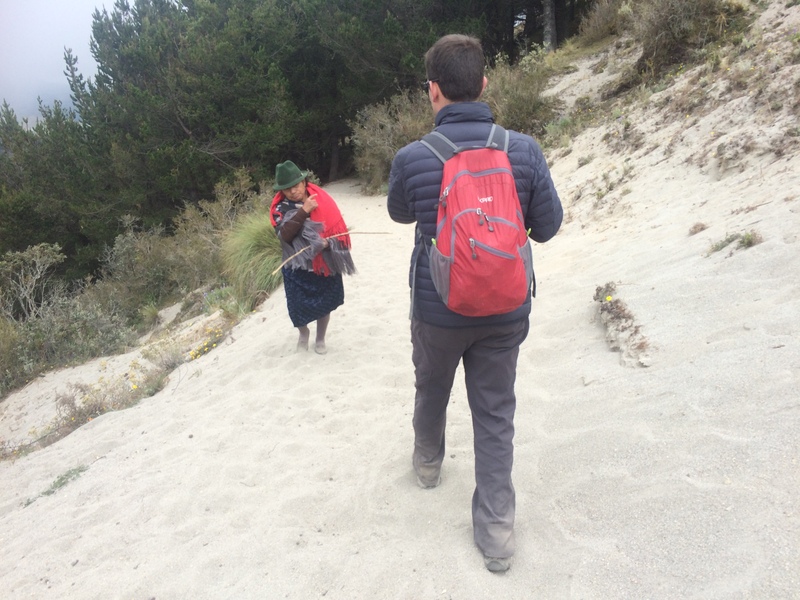 Hike from Quilotoa to Chugchilan. 3. Hike from Chugchilan to Isinlivi. 4. 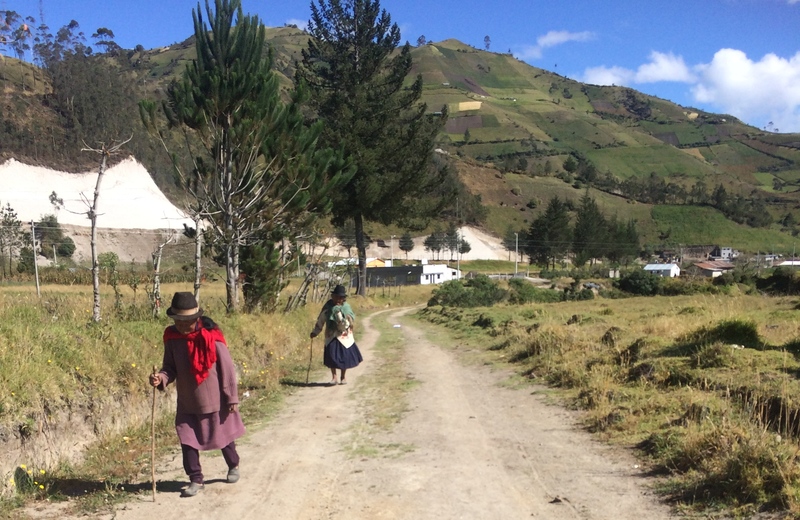 Hike from Isinlivi to Sigchos, then take a bus to Latacunga. 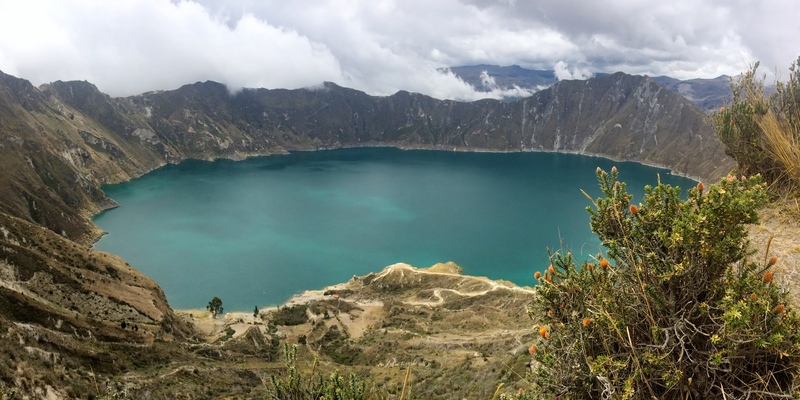 Some also tack on the 4-hour hike around the crater of the Quilotoa volcano rim, or the 1 to 2-hour roundtrip hike down to the lagoon. Or to shorten the hike due to time, one can easily return to the base city of Latacunga from any one of the villages. Whichever route is taken, gorgeous views of rivers and valleys are guaranteed along with pleasant encounters with local villagers and animals. Chris had to shorten the trek due to time, so we actually decided upon arrival that we would hike to Chugchilan to spend our first night, continue to Sigchos the following day where we would spend a second night, and then return to Latacunga in the morning on the third day. Our first day was quite ambitious, mainly due to time… and lack of directions. 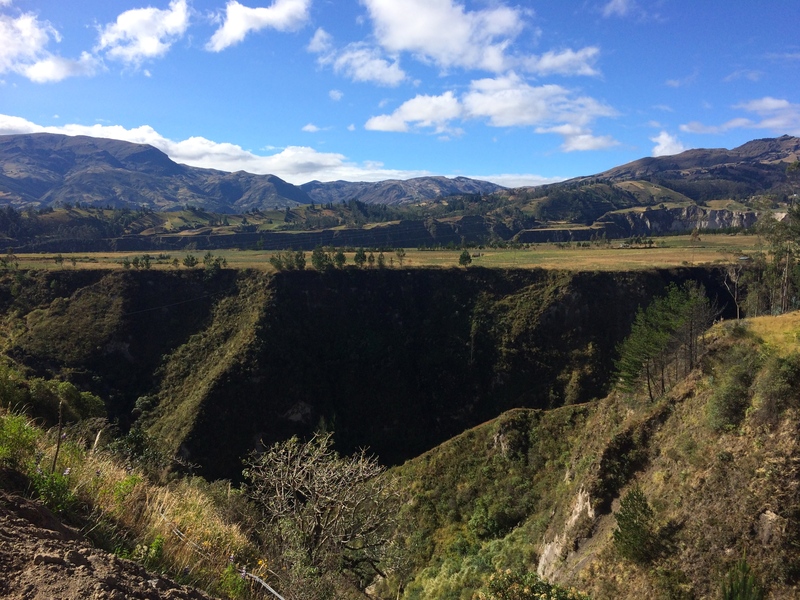 The goal was to make it to Chugchilan by sunset–from Baños! 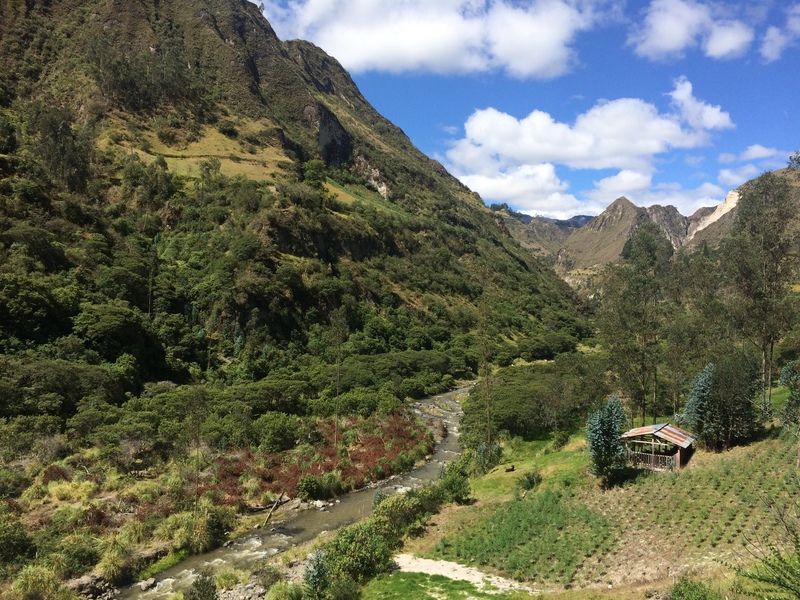 We got up bright and early, departed Baños by ~7:15am, transferred buses in Ambato, got dropped off at the outskirts of Latacunga by 9am, and hopped into the back of a pickup truck for a shared taxi ride with some locals into town. 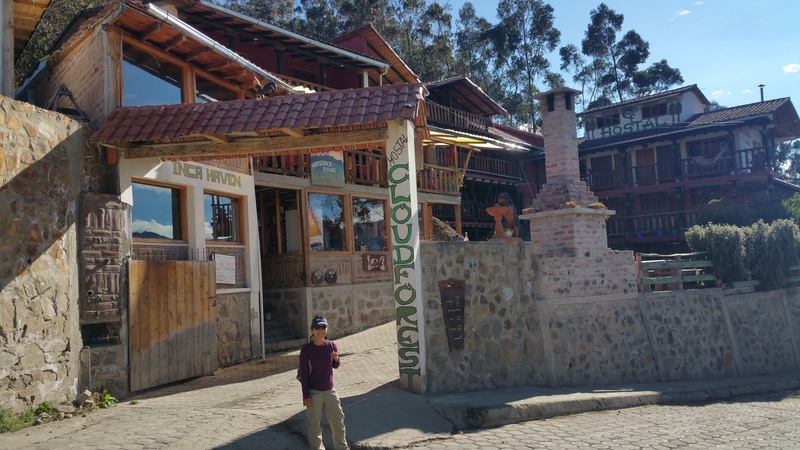 We quickly walked over to Hostal Tiana, the most recommended hostal for backpackers hiking Cotopaxi or Quilotoa, dropped off our luggage for a small fee, and then hurried over to the bus terminal with our day packs to catch a bus for Quilotoa. Buses headed for neighboring villages are frequent, and we left the bus terminal at 10:30. 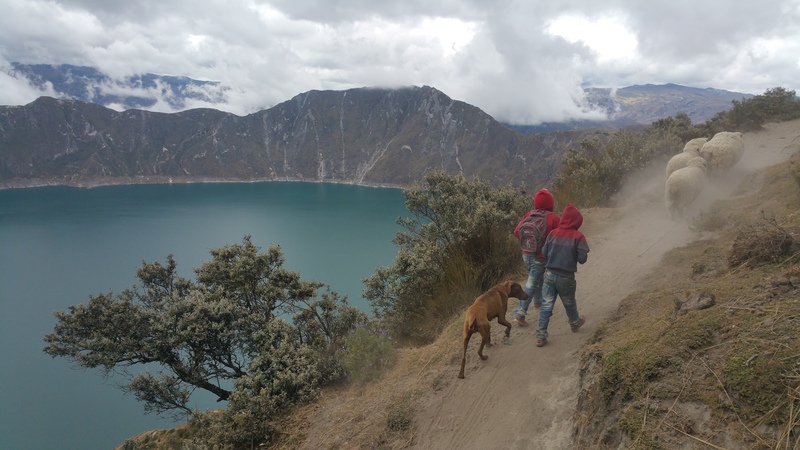 Exactly two hours later at 12:30 we got dropped off at Laguna Quilotoa, where we paid the $2 admission fee. Situated at ~3,900 meters, we were forced to adjust to the high altitude and cold again. Upon stepping down from the bus, I was blasted with the fog’s cold wind. We quickly put on our layers, gloves, and beanies to prepare ourselves for the trek. But before the hike we had to eat lunch, and it wasn’t until shortly past 1pm that we made our way to the mirador which was filled with tourists on day trips. As expected the skies were gray and overcast, but the site of the crater lagoon was beautiful nonetheless. Because it was difficult to tear my eyes away from such beauty, we remained at the rim for at least another half hour. During our stay a villager stopped briefly for a prayer. Finally we headed out for Chugchilan sometime between 1 and 2, a bit late to start a 4-5 hour trek. Sunset was at 6:24pm which was barely enough time (to include getting lost!). We followed the dirt trail clockwise from the mirador and literally within minutes of leaving, not another tourist was in site. The trail now only belonged to us and the occasional local villager such as these children and sheep. Crossroads and forks in the road appeared practically every 15-30 minutes, promising to deter every trekker from the correct path. 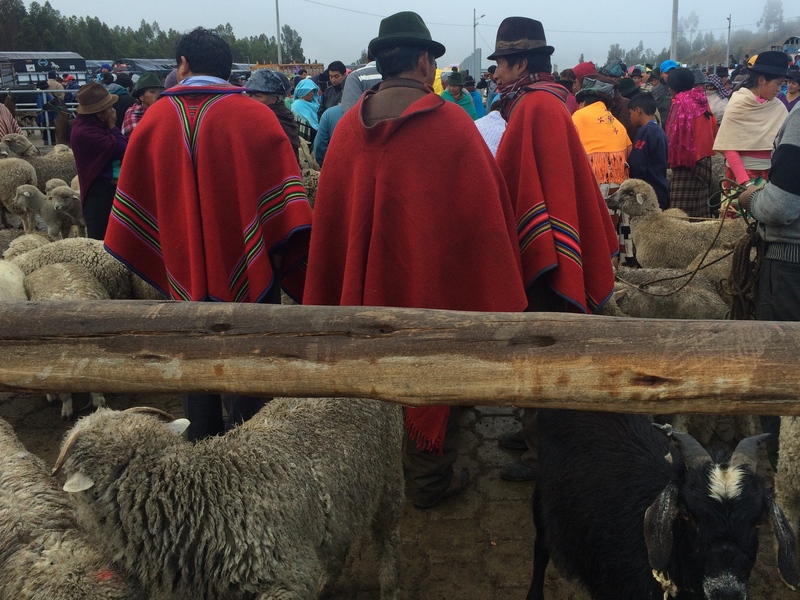 It was essential to ask every villager passing by for the route toward Chugchilan. And of course, we got lost, just like everyone does. We ended up being on the wrong side of the valley and had to gingerly step down steep off-trail slopes which ended up putting us a bit further than we intended. However once we made it down to the river, we followed the river toward town and eventually got back on track. Yay! One of the owners gave us a map and detailed instructions for our onward hike toward Sigchos. Thanks to his specific instructions, we stayed mostly on track. (We only had to backtrack a couple times, which was pretty good!) Before the afternoon cloud forest could drift its way into the valley, we hiked down into the valley, along the river, and back up the steep valley into Sigchos. The scenery was stunning. 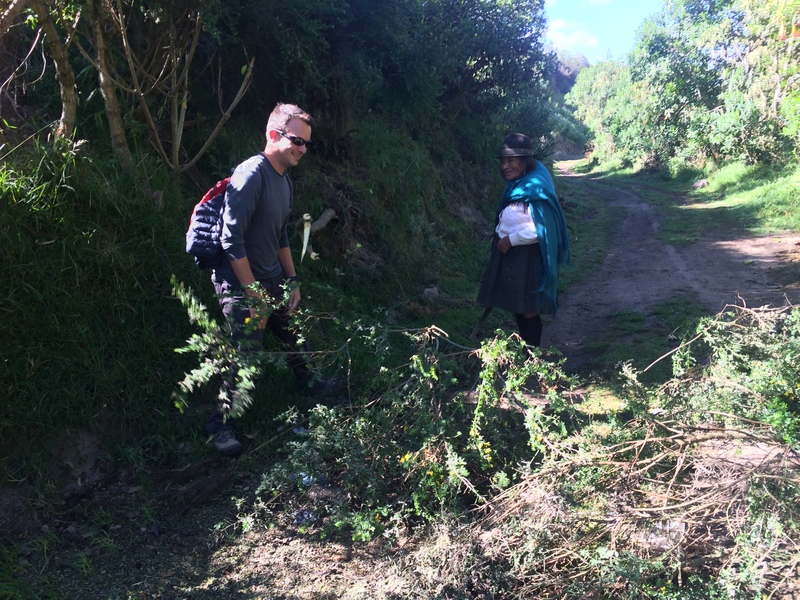 Chris helped an elderly woman clear a path of tree branches. A small soda/coffee stand, perfect for a short break. Sigchos ended up taking closer to 6 hours than the suggested 4 hours everyone from Chugchilan said it would take. Damn liars. During the last hour or so of our hike the cloud forest rolled in, bringing along with it the brisk Andes chill. There wasn’t much to do in the abysmal town, and we caught the 7am bus the next morning for Latacunga. Had the weather cooperated, I would have made the day trip to Cotopaxi, one of the highest active volcanoes in the world. 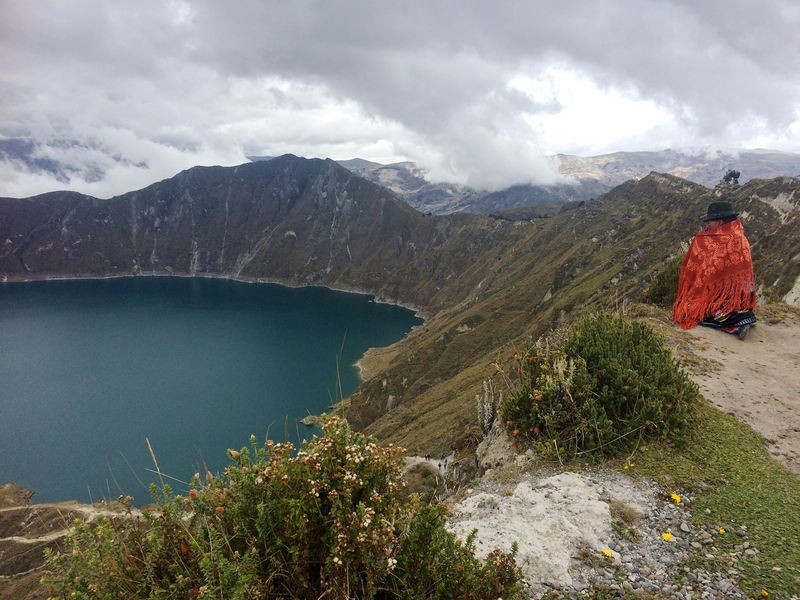 With the dark, thick clouds and rain, I knew better than to attempt the hike at 4,800 meters. 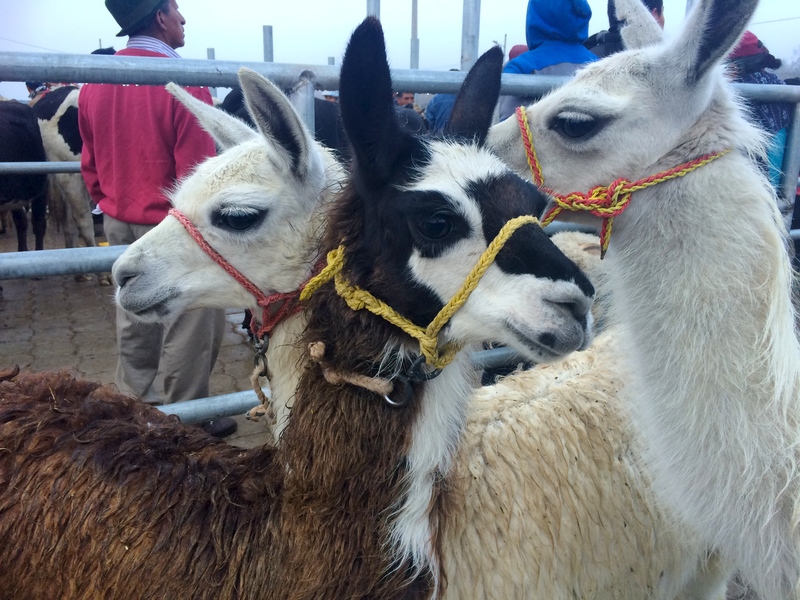 Fortunately our timing in Latacunga was perfect as I timed it to coincide with the famous animal market on Thursday mornings in Saquisili. 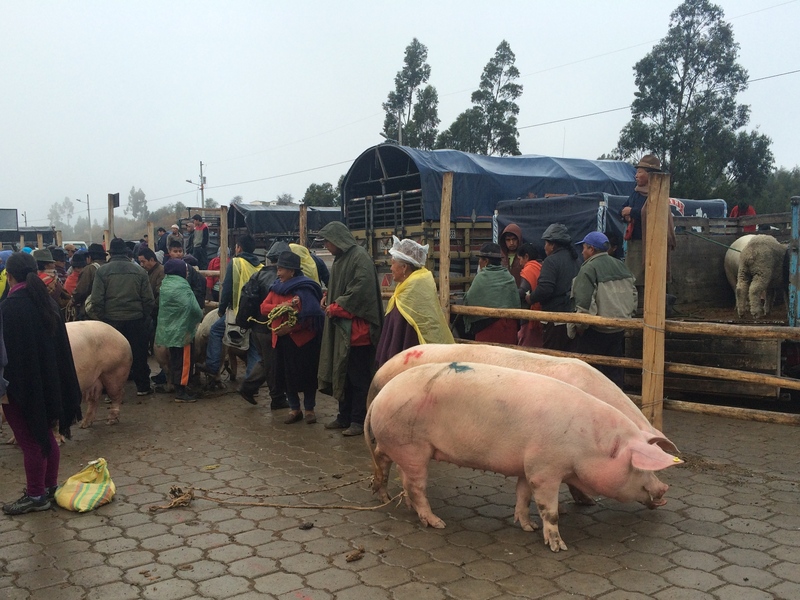 We took the 45¢ bus ride from Latacunga to Saquisili on Wednesday afternoon, spent an evening in the only hotel in town for $10/night, and woke up at 6am the next morning to watch the whole ordeal at the animal market. The animal market was about a 20-minute walk from town, so we hitched a quick ride on a truck for 25¢ each. 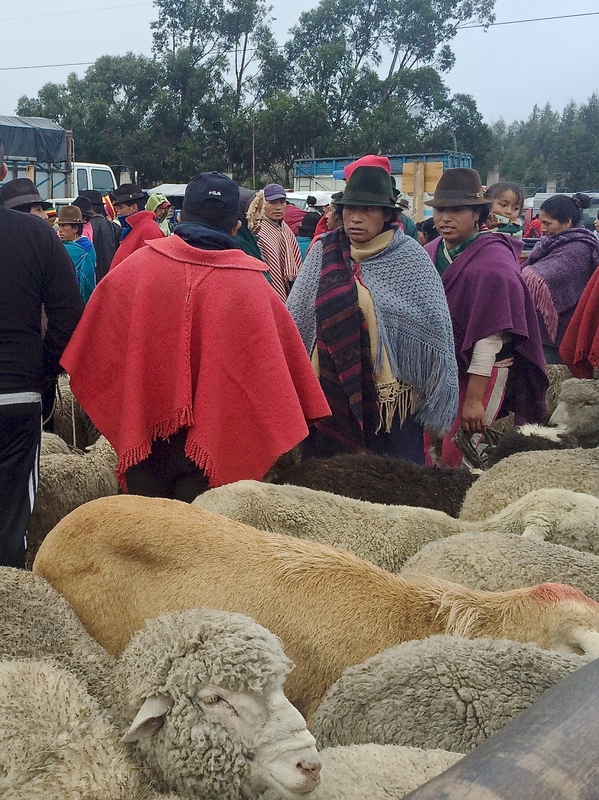 Every Thursday morning between 5am and 8am villagers from all over the area gather to buy and sell cows, llamas, alpacas, pigs, goats, sheep, and donkeys. 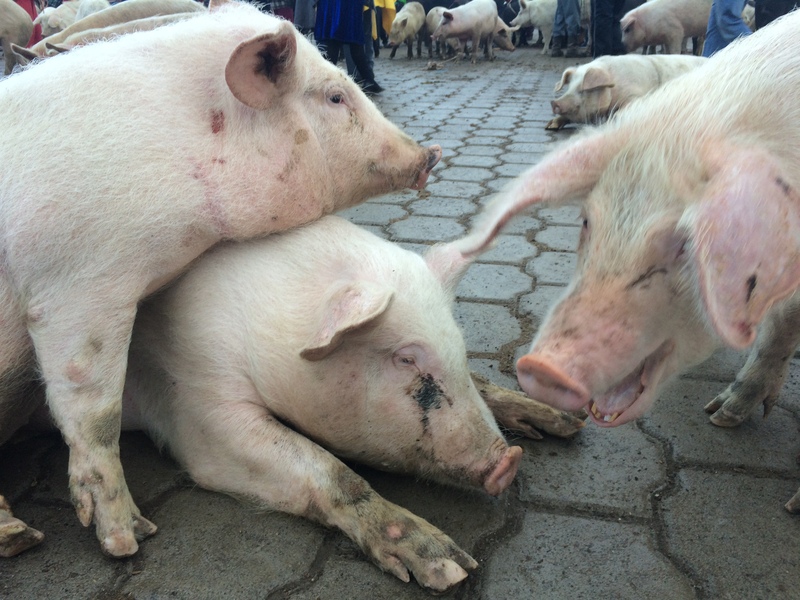 Those with animal rights issues probably shouldn’t go to this market. Since we were already in the area, I wanted to make the side trip to Saquisili; I wouldn’t recommend coming all the way here just to see the animal market. Still, I found it interesting but Chris didn’t find it interesting at all…he is from Iowa after all. 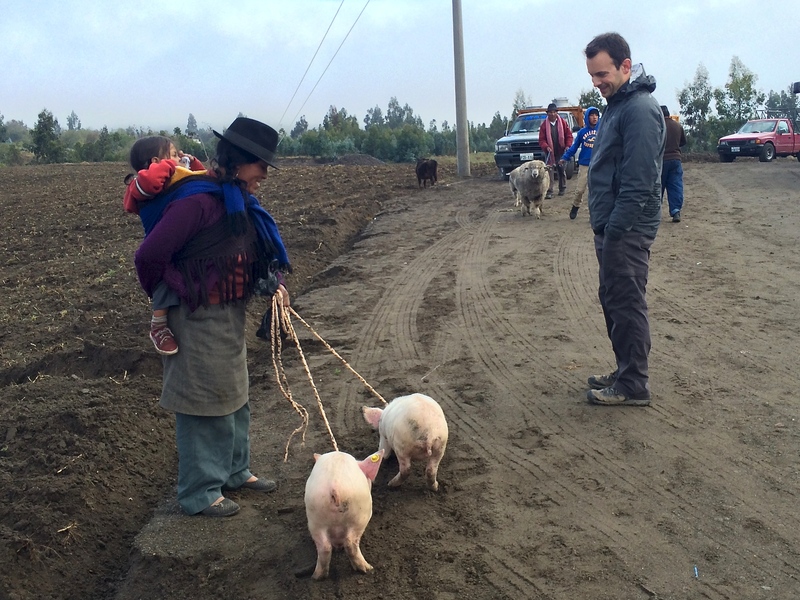 Lots of piggies of all sizes. 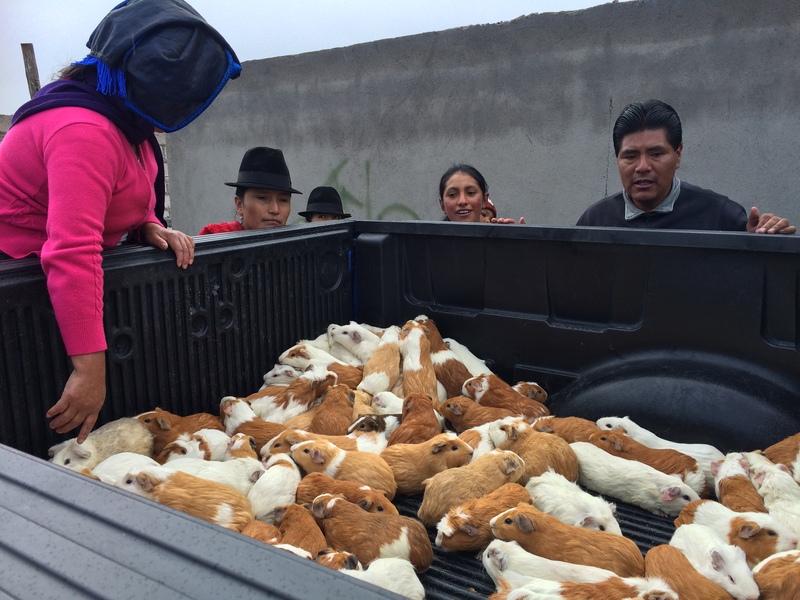 Guinea pigs, of course. A truck full of them. 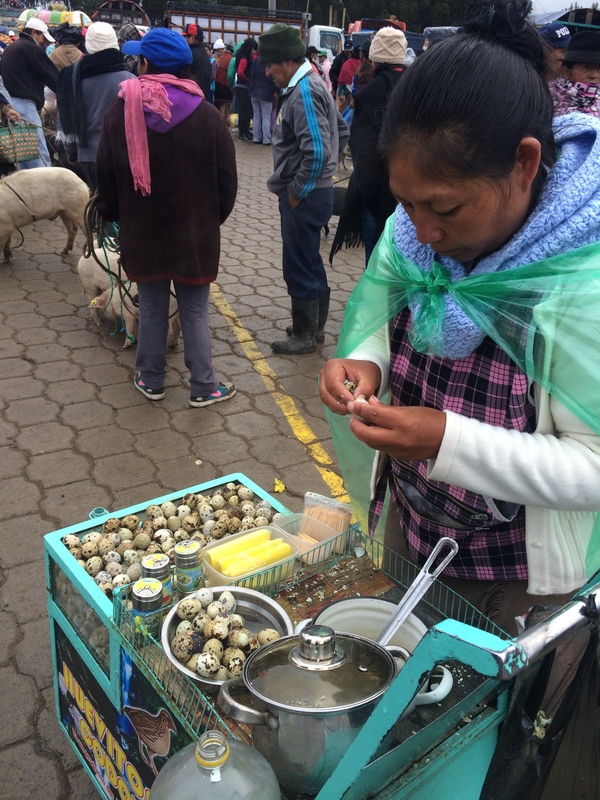 And of course, a market isn’t a market without some street food: tasty quail eggs and fried corn patties stuffed with cheese. Immediately after the market we set out for Quito, the capital of Ecuador only a mere 2 hours north from these towns and villages. It had been 2.5 weeks since we were last in a major city (Guayaquil) and we looked forward to our day and a half in beautiful, modern Quito. 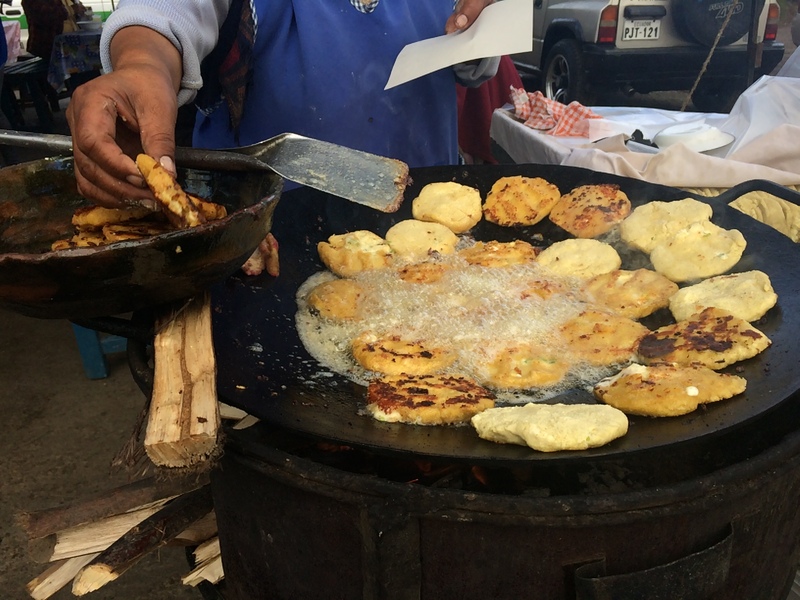 This entry was posted in Ecuador, Uncategorized and tagged chugchilan, quilotoa, saquisili, sigchos. Bookmark the permalink.